Here you can find all info about Abominable SnowMan from SnowHigh Seeds. If you are searching for information about Abominable SnowMan from SnowHigh Seeds, check out our Basic Infos or Lineage / Genealogy for this cannabis variety here at this page and follow the links to get even more information. If you have any personal experiences with growing or consuming this cannabis variety, please use the upload links to add them to the database! Abominable SnowMan is a mostly indica variety from SnowHigh Seeds and can be cultivated indoors (where the plants will need a flowering time of ±67 days) and outdoors. 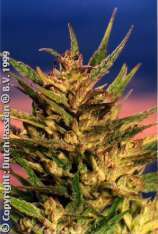 SnowHigh Seeds' Abominable SnowMan is/was never available as feminized seeds. SnowCap Delta is our early work with SnowCap mixed with the Acapulco Gold x C99 male backcrossed to the original SnowCap clone. SnowCap was a strain my friend got the SnowMan who is part of SnowHigh. The real SnowCap is a large spear forming, large yielding, very frosty and resin producing line which favors outdoors but does well in most climates. The aroma is a tropical candied mint to pine which tastes the same as it smokes. Remarkably one of the few strains which tastes the same from the beginning of the joint to the very end. The taste and smell is one of my all-time favorites and the type you can’t keep your nose out of the jar because it smells so good. The effect is a strong body with an uplifting head that I gather is probably a combination of genetics from the Humboldt Snow clone or Oregon Sno clone which is most likely the same thing combined with a South East Asian possibly a Thai strain. Abominable Snowman combines the SnowCap Delta with a Pure Kush which produces super potent large colas of modern “Kush” phenotypes with a bit of sweetness. Combined with an Uzbekistani line rare in itself and of a more northerly latitude then Afghanistan which at one time was the source of some of the finest hashish producing families of ancient Chinese Turkestan. Click to show all parents of Abominable SnowMan in our dynamic family tree map. Do you know something more about SnowHigh Seeds' Abominable SnowMan? Please help to make this database better and upload/connect your information here! Pictures speak louder than words! Upload your "Abominable SnowMan" Photos here and help other growers to get a better impression of this variety. You have grown Abominable SnowMan together with another variety? Please fill out our Strain VS. Strain direct comparisation form! Our strain reviews are multilingual, searchable and can be very detailed - including data about the grow, aroma, effects and taste! 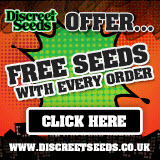 Please upload your Abominable SnowMan Review here to help the other seedfinder users! You have experience with the medical qualities of Abominable SnowMan? Sharing your information here maybe can help other people! You've stumbled upon a Abominable SnowMan related thread into a forum or growers community? Connect it here and enable othe users to find this information fast and easy! You found a related video with additional information or grow-infos about Abominable SnowMan on YouTube? Please connect it here to the strain info page!